Super FUN Mini Slide and Bounce Combo has 1 slide with a bouncing area! ** Fits inside most garages and buildings. 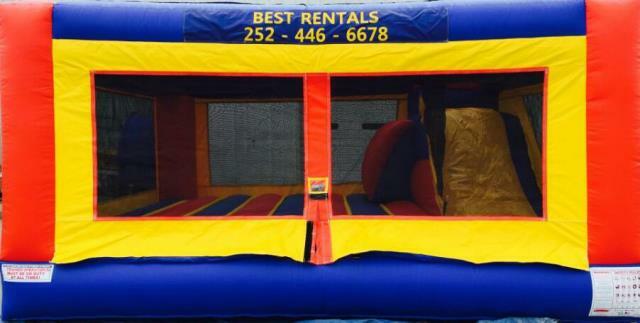 * Please call us for any questions on our fun house mini slide/bounce combo rentals in Rocky Mount and Wilson NC.